The Xultun Tarot: the original indigenous tarot. Created by Peter Balin in 1976, the Xultun Tarot was the first of the cultural or indigenous tarot decks. 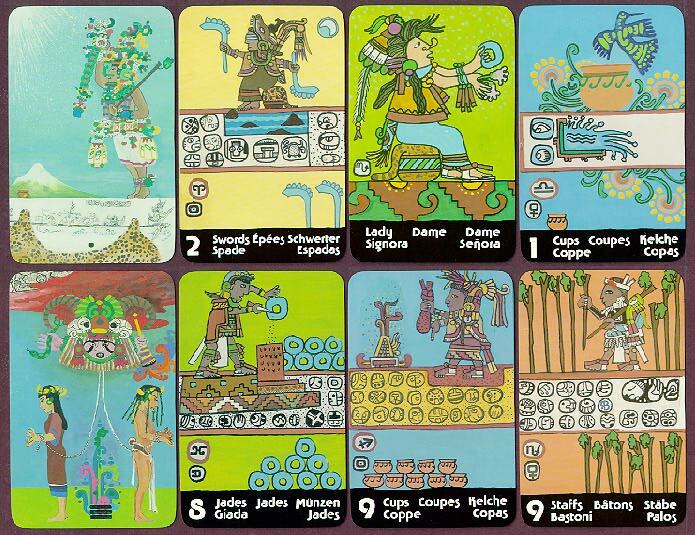 It is based on images from Maya history and culture and also known as the Maya Tarot or the Maya Book of Life. It is the only tarot deck where the major arcana form a complete picture. This picture tells the story of the marriage of spirit and matter and what C G Jung called the individuation process. In arrangement with Peter Balin, Kahurangi Press has undertaken to reprint the original edition of the cards. Only 500 were ever printed and they are now now rare collector's items. 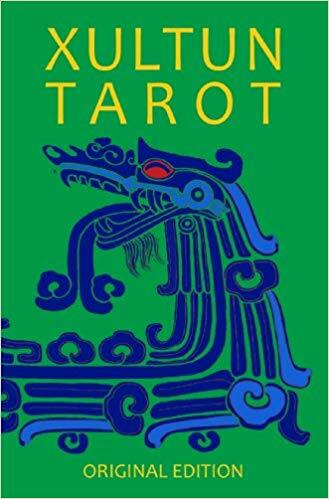 This Classic Edition now brings back the Xultun Tarot true to its original large size and vibrant colours. The Maya Book of Life: Understanding the Xultun Tarot by Michael Owen, also by Kahurangi Press, is the companion book to this Classic Edition of the cards.